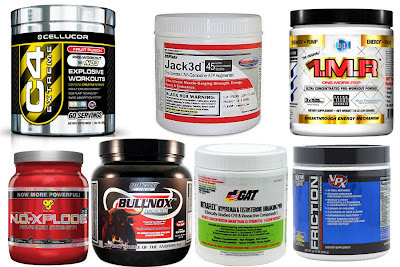 The “pre-workout” category of bodybuilding and fitness supplements has completely exploded over the last few years. It seems that every supplement company (and that supplement company owner’s dog) has come out with their own “breakthrough” pre-workout formula promising huge increases in strength, performance, muscle growth and fat loss. 95% of them really DO work. Yes, despite the hundreds (perhaps thousands) of different variations of pre-workout products lining the shelves at supplement stores across the country, the vast majority of them really DO increase muscular performance, mental focus and energy levels. Virtually all of them contain 100-300 milligrams of caffeine anhydrous in each serving. No, in most cases, it’s mainly just the caffeine. All I’m saying is that the majority of the effects you feel 30-45 minutes after sipping on that Radical Rockin’ Raspberry Rush (or, whatever) pre-workout drink is simply a combination of the study-dose of caffeine anhydrous (here is a good summary of the research on caffeine’s positive, measurable effects on strength and performance) and the basic placebo effect you experience when you consume a product with the positive expectation that it’s going to work. Yes, I think l-tyrosine is a good pre-workout ingredient as well. ALCAR can have some noticeable effects. 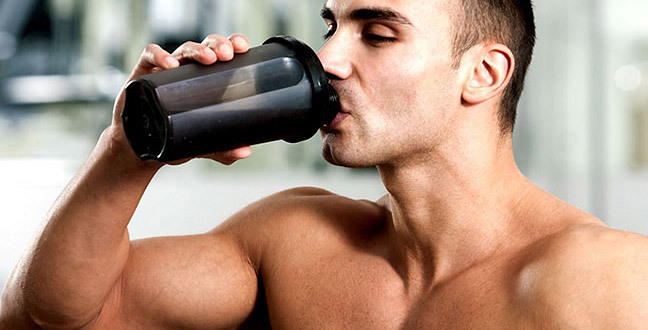 Citrulline malate may provide a small boost if you prefer a non-stimulant. And yes, there are a few others out there that might be worth experimenting with as well, but they are few and far between. However, none of these compare to basic caffeine – not in effectiveness, not in price. It arises when any supplement company out there (or some random dude off the street – literally) can slap together 10, 20, 30 ingredients or more into a bottle (most of which are either totally ineffective, or somewhat effective but under-dosed), toss in a couple hundred milligrams of caffeine, hype the ever-living dog crap out of their product and then charge $67 a bottle for it. Yes, the product theoretically “works”, but unbeknownst to the person using it, they could have replicated most or all of its effects by just purchasing a bottle of caffeine anhydrous tabs for $4. People often become defensive when I try to point this out, because they don’t want to hear that they’ve essentially wasted $40 a month or so for the past 3 years on the pre-workout product they’ve been using. That’s understandable, but my only goal here is to help, and it should be seen as a positive thing since you can now use that $40 a month on things that actually matter… like food or your gym membership. And as someone who has been researching bodybuilding and fitness supplementation for the last 12 years and who has owned a small supplement company in the past as well, I can tell you with certainty that most (definitely not all, but most) of the pre-workout category is a straight up hustle. Mix your pre-workout ingredients with some Crystal Lite, MiO or juice and it’ll taste just fine. Many of them are in pill form anyway. And given that there are only a VERY small handful of pre-workout compounds even worth bothering with in the first place, I don’t see how “convenience” justifies the insane increase in price. Besides, if you buy your pre-workout ingredients separately it will allow you to experiment with different dosages, or modulate the potency if necessary depending on your mood, energy levels or on the specific type of workout you’re performing. I get that the marketing, fancy packaging and all that makes it “feel good” to use the product - but let’s come back to reality here. Simple truth: The best pre-workout supplement available, by a good margin, is basic caffeine anhydrous at 100-300mg 30-45 minutes prior to training. 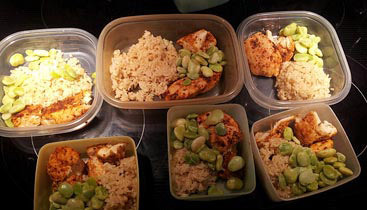 And the best part is, it will literally cost you a couple cents per serving. If you want to create a small pre-workout stack and boost the effects further, add in 1-3 grams of l-tyrosine (also very inexpensive) as this amino acid works downstream from caffeine to increase energy and mental focus further. If you still want to push things a bit further, acetyl l-carnitine (ALCAR) might be worth adding at a dosage of 1-2 grams. All of these ingredients would be taken 30-45 minutes before your session, ideally on an empty stomach. I’d also recommend only using them a few times per week, and taking a full 2 weeks off after 6-8 weeks of continued use. 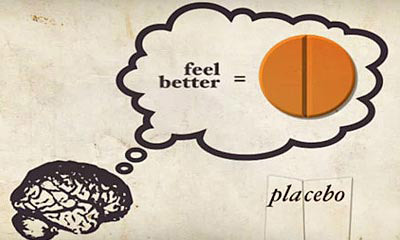 What you personally decide to do will depend on your budget, sensitivity to stimulants, the effects you experience etc. 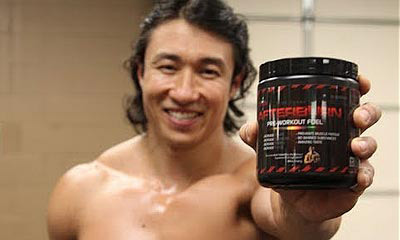 Many of you won’t even want or need any pre-workout ingredients at all (besides your pre-workout meal and perhaps a strong cup of coffee)… and all of you certainly don’t need an over-hyped, over-priced, under-dosed, under-researched (I could keep going here but you get the point) fairy-tale pre-workout blend that does not benefit you beyond 1 or 2 dirt-cheap ingredients and that may even be potentially dangerous to your health when used over the long term.